Travel photography is an enduringly popular form of photography - and for good reason. After all, who doesn't take their camera on holiday with them? Here you'll find lots of tips for travelling with your camera. Follow the advice below to ensure you return home with your camera, and all those photos, intact! 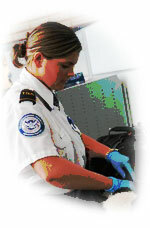 Years ago when we used film, photographers would panic about putting their film through airport scanners. And rightly so. The problem was that the x-rays used in the scanners could 'fog' the film. It didn't wipe photos. But the when films were developed every photo looked like it had been taken through mist, and had a slight orange tint. The effect was more likely to occur if the film was a more sensitive film (Read more about film sensitivity). If it happened to your film, there was nothing you could do to retrieve your photos. I remember taking my films out of my hand luggage at airport security and asking for a hand search of the film canisters. Thankfully, this request was never refused, and I never suffered the fogged film fate. And then I went digital ... and it seems different rules apply. The first time I came through an airport with memory cards was a while ago now, back in 2001, at Dallas, Fort Worth. Three things surprised me about Fort Worth. Firstly, how pancake flat the landscape is. Not even the smallest mole-hill. You can see for miles! Secondly, how heavy rain can be. When it rains, it really does rain. Proper rain. I wouldn't recommend venturing out in it without some seriously robust headwear if I were you! Finally, I was surprised by the size of the security officers. Men of this size are rarely seen outside the world of heavyweight boxing. And they have absolutely no sense of humour whatsoever! Which leads me back to my reason for bringing this up. When they tell you that everything has to go through the airport scanner, you don't argue. And they mean everything. I started to explain about my precious memory cards and was given a two word answer - 'Everything, sir'. So through they went. And . . . nothing happened. Just fine. No fogging. Nothing. I have since done a little research on the subject and found out that memory cards are perfectly safe in airport scanners. They are completely unaffected by x-rays, so have no fear! If you know you have some photo 'duds', and you are sure you know which ones they are, delete them. This will give you some more space on your card. If you can copy the images from a memory card onto a CD, do so. Check the images have been successfully written to the CD, and then reformat the memory card. You might be surprised at the number of places that offer a CD writing service. Print your photos. There are many places where you can print proper photos direct from a memory card. Once you have the prints, you can delete those photos from your card and free up some space. Take a few photos (you might need to format the card in your camera first). If they are - job done! NB: Using these options means you will be left without any backup of your photos (unless you copy the photos onto two CDs or two memory cards). I recommend you go for the CD or memory card option if possible. That way you can still edit the photos when you return home. If you have prints, your editing options are more limited. Travel photography probably means putting your memory cards through more extreme challenges than they would normally be exposed to at home. You may well have brought spare cards that float around the bottom of your suitcase picking up bits of fluff as they go. Probably not the best environment for a highly sensitive piece of electronic equipment! Or so you might think. However, you might be surprised at how robust these little memory marvels are. Dropped it in water? No problem. Let it dry out thoroughly (will need a few days), then it will work just fine. Dropped it on the floor? Pop it in your camera and you'll find it has probably been completely unaffected by the little mishap. The one recommendation I would make is to keep your cards in their little storage cases when they are not in use. This is to stop them picking up bits of fluff or dirt, which will be transferred to the inside of your camera when you insert your card. If dirt or fluff gets inside your camera it could cause you some problems. And it is very difficult to remove. If you are taking a compact digital camera on your travels, I recommend getting a case for it to protect it. I would also recommend you take it with you in your hand luggage if flying, not your hold luggage. First, it is probably safer to keep it with you. Second, you might just see a photo opportunity between check in and boarding! As with your memory cards, your camera might take a little more of a pounding whilst you are on your travels. I would add another piece of protection to it - a clear screen cover to protect the LCD screen. These are flexible sheets of clear plastic that go over the LCD screen and protect it from scratches. They can be peeled off after use with no effect on the screen, so if you don't like it on there, take it off when you get home. They are, cheap, effective and, if your camera's LCD screen is touch sensitive, it will still still work fine. As with memory cards there are good online deals to be had, and because they are small, postage costs are small too. Some online stores even sell them cut to size, so you don't even have to hunt around for scissors! It is highly likely that your digital camera comes with its own specialised battery. These batteries are quite robust, and travel well. Your main concern is probably whether or not you will be able to charge it while you are away. There are two things to check - what is the voltage used in the country you are travelling to? 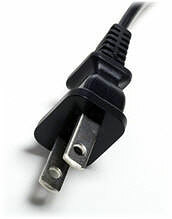 What is the style of plug? If the voltage in your destination country differs, check your charger (and the manual). Many chargers will work fine on either of the two international voltages. You can find a list of voltages (and plug types) around the world here. The plug is less likely to be suitable. Fortunately though, there are adaptors around that cover practically every situation you're likely to face - just remember to pack it! There is one final piece advice for you concerning camera batteries - have you considered getting a spare? You may find that you are going to places where power is limited, or possibly non-existent (I took my digital camera to the Amazon rainforest - didn't see electricity for four days!). If it's possible you will be without power, a fully charged spare battery doubles the number of photos you will be able to take. 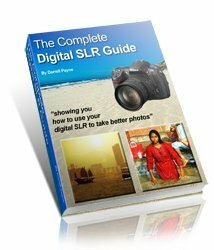 Newsletter back issues - a travel photography tip in every issue!